I’m super happy with the mala I got from MalaRae. Each premium bead is carefully and precisely hand knotted and made with so much care. I’m still in love with my mala even after a year and still gets lots of compliments whenever I wear it outside. 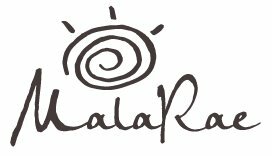 If you are looking for an amazing gift for someone you love (or for yourself), MalaRae has everything you need. I own several pieces and have gifted these lovely malas and bracelets to friends who have accepted them with delight! Yes they are gorgeous but I also feel that Kyla’s positive energy and intention goes into everything she creates. She has an eye for picking beautiful stones, a talent for design and produces high quality pieces. With her knowledge of the healing powers of the different stones she can help you pick a piece that will be perfect for any life situation or you can choose something based solely on pretty colours! My favorite mala helps me feel calm and grounded even on difficult days. I hope you find your perfect match. As a Spiritual Mentor and Clairvoyant Medium I get opportunities to be a participant in some pretty beautiful moments in peoples sacred journey. One such honour was when I was invited to be the officiant of a wedding for one of my Soul tribe daughters. We talked about how to make this a magnificent experience she being a yogi I came up with using Mala’s as the wedding ring exchange. She loved this idea and I immediately knew who to call. Kyla Miller and MalaRae. Let me ebe this was an extremely important life event and I needed someone to hold the right energy for them, and to be willing to work with me and she on what was the perfect gem stones designs that would hold the wedding vows in the highest vibrational space. Well my friends Kyla helped me personally make this happen. I love this ladies work it is truly outstanding and I recommend you bring your ideas here. She will help you make the most beautiful gem jewels mala’s you will ever see. The quality is high. The price is right and I promise you will be extremely satisfied with everything about your experience.